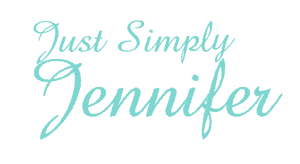 Busy Interesting… | Just Simply Jennifer! Yesterday was very interesting. We just seemed to play almost all day. We took a nice walk while the dew was still wet. I got hooked into watching the America’s Next Top Model Marathon on TV. I like those marathons where you don’t have to wait 12 weeks for the ultimate results. This was the year that the model Eva won the honors. I felt like the other girl should have got it though, so I hope they are both successful with looking great now. We went out to dinner with Tom and his mom at Green Village Diner. It was very good. I had broiled fish which was very good. I like this restaurant though because everyone that eats there gets a little scoop of ice cream for dessert and that part was great. Kyra thought so too. We came home played more and than Kyra fell asleep. That’s when I got to my computer. I did quite a bit of work and then went to bed myself at about 11:30, so late for me. Here is another old picture from Adam’s albums. This is Adam’s mom. She passed when he was 16, so I thought I would put this on here too.